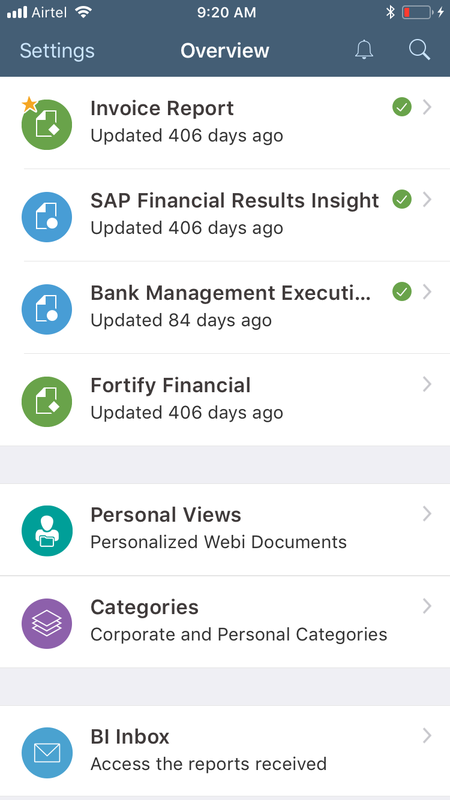 The New SAP BusinessObjects Mobile application version 6.7 was made available in December 2017 and comes with a brand new Fiori look for iPhone devices based on Fiori for iOS guidelines, MDM enhancements, Folder path information support for BI Documents and Other improvements. 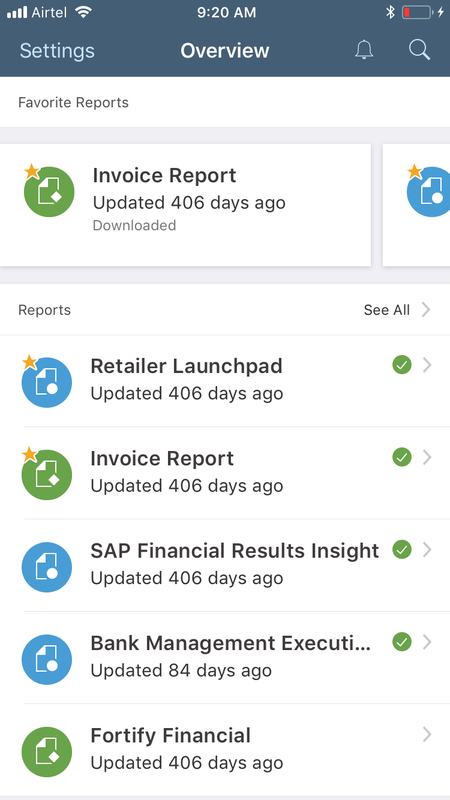 The New look for iPhone devices refreshes the app with the Fiori for iOS guidelines and gives a simplified and intuitive experience to the end user. The new UX gives comfortable access to BI Content across Favorites, Reports, Personal Views (For Web Intelligence Documents Only), Categories and BI Inbox sections which can be scrolled vertically. Scroll horizontally to access all the Documents marked as favorites. Gestures are more comfortable to use and you can now swipe left on the content to get access to most frequent actions and even more. Some Highlights of the New UX can be seen below. The theme option to switch back is available under Settings->Application theme->Toggle to Switch on/off Fiori. Folder path information can now be accessed as part of “Document Information”. This allows end user to know to which Folders in the BI system the document belongs to. For more information on this feature and supported BI Systems refer Blog below. Displaying Documents Folder path information in SAP Business Objects Mobile Application 6.7. Enhanced support for MDM tools like Airwatch and MobileIron. The SAP BusinessObjects Mobile SDK adds support for integrated authentication and certificate push for Airwatch MDM using SAP BusinessObjects Mobile SDK and Airwatch SDK. 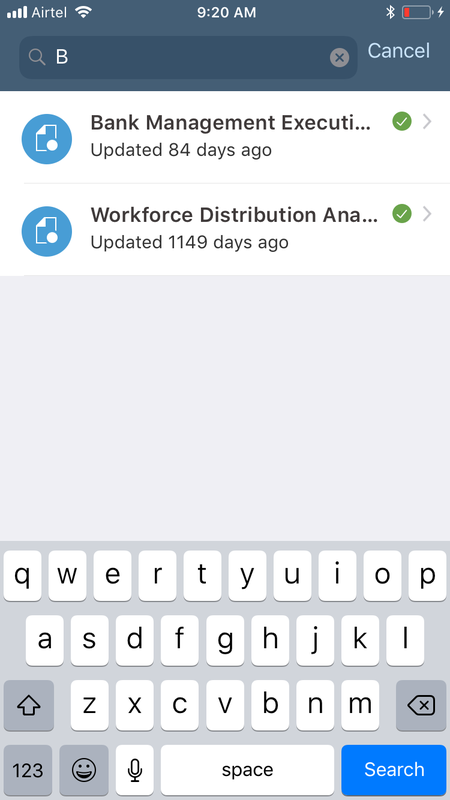 The SAP BusinessObjects Mobile SDK adds support for wrapping the SAP BusinessObjects Mobile SDK application with MobileIron AppConnect container. More information is available in the Developer’s Guide for iOS. Refer What’s New Video Link. Wow, this looks exciting. Thank you. Looking forward to have the new fiorified app also for the SDK for BO mobile for iOS. Why is Fiori look not avaible in SDK 6.7.6? 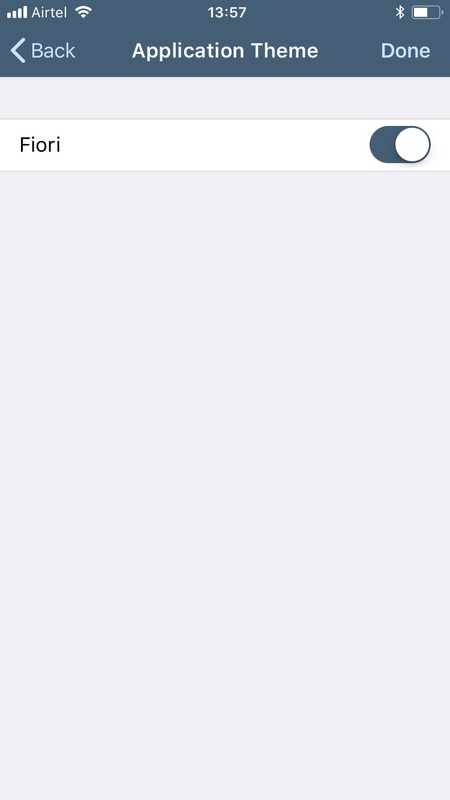 And the Application Theme is not shown on the Settings screen. Thank Erling. The SDK support would be planned for later release. It is lame that the Fiori setting is not in the SDK and would like to request that it be added or tell how to enable the Fiori theme in the SDK simulator. We have requirement to replace the cartoon, pastel icons that better fit the company brand. The different icons for each document type are confusing to our users and they just need to know it is a report or a dashboard. Without the fiori setting in the SDK, it is not possible to use the simulator to preview the fiore theme because the setting is not displayed on the screen? From an Application perspective the option is available under settings->Application theme->Toggle to Switch on/off Fiori. Note:- Settings here refer to settings within the app. Also Fiori theme is enabled by default. 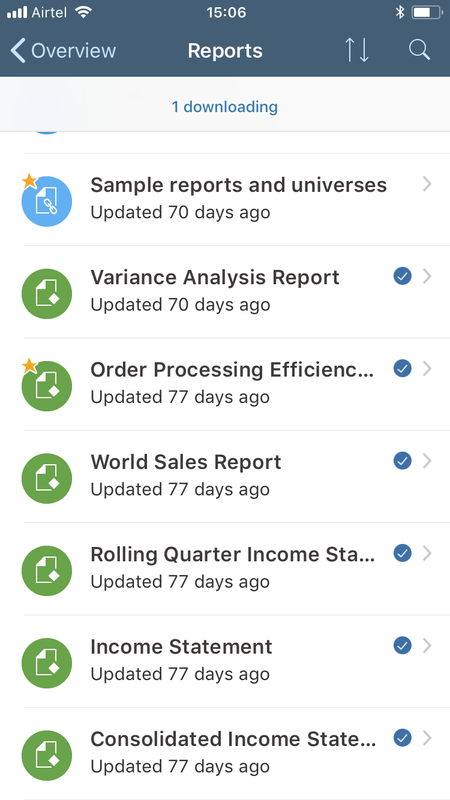 When will Lumira discovery reports be supported on iPhone/Android? According to the blog from sap in June 2017, SAP had planned to release this in the next version. I have updated our SBOP app to 6.7.6, but I do not see discovery reports support. Currently their is no plan to support SAP Lumira Discovery on Phones. 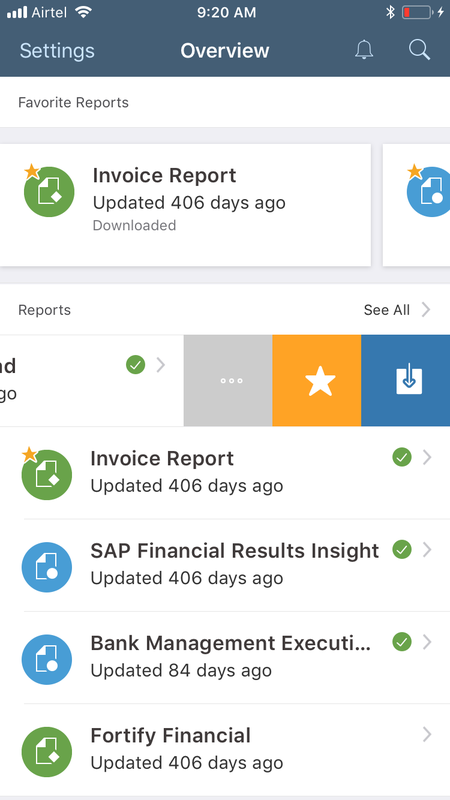 Only SAP Lumira Designer Dashboards can be viewed on phones. Thanks for the confirmation/info Vikas. Fiori look has been moved to iPad’s as well.